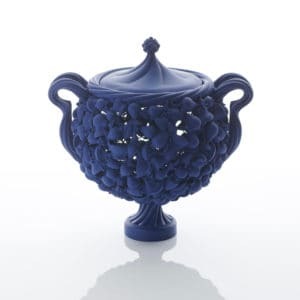 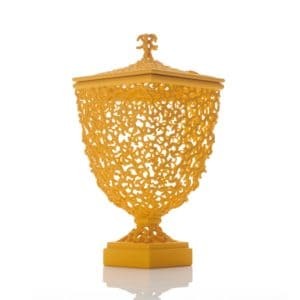 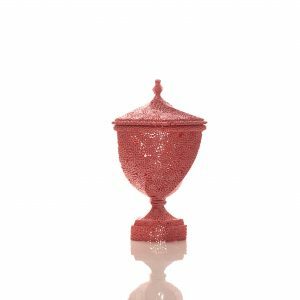 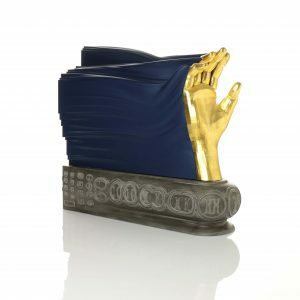 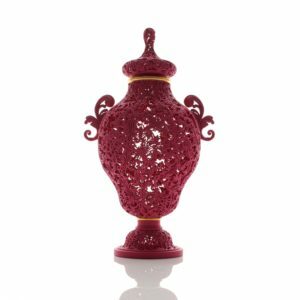 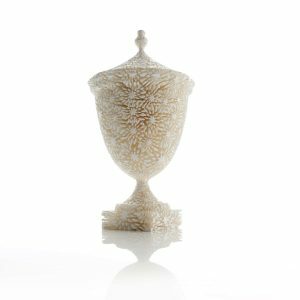 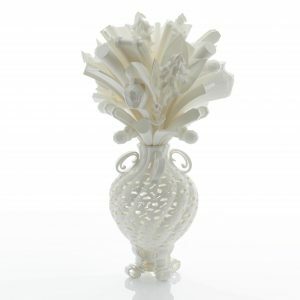 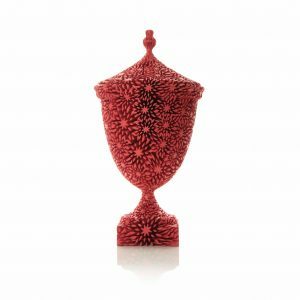 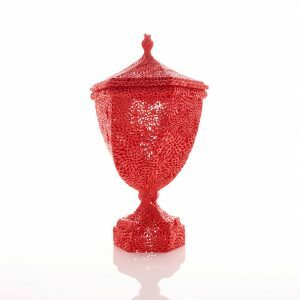 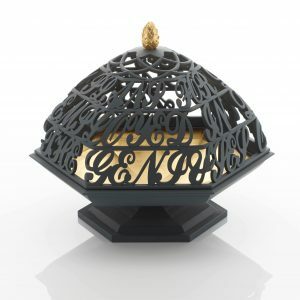 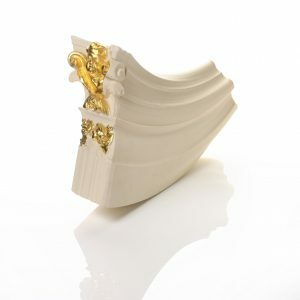 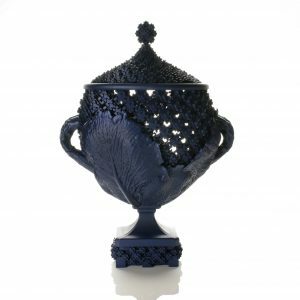 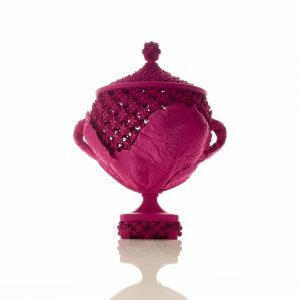 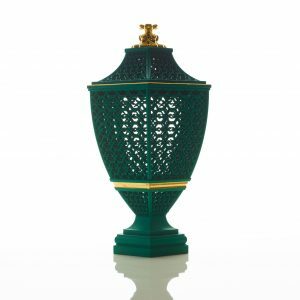 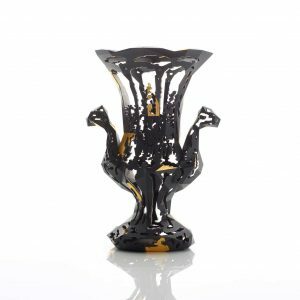 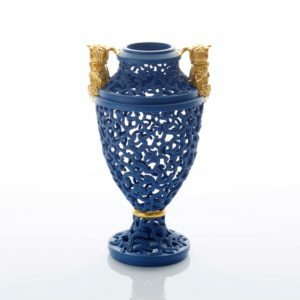 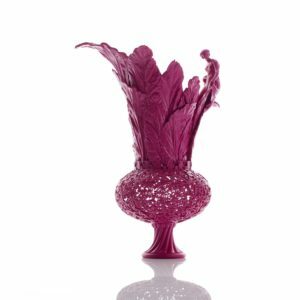 Icons is based on a Sèvres potpourri porcelain vase in the Waddesdon Manor collection. 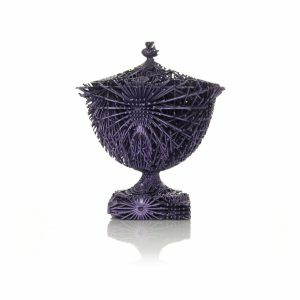 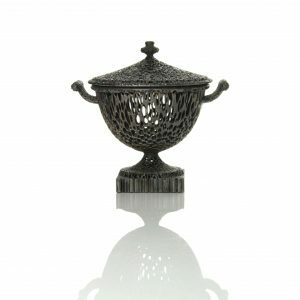 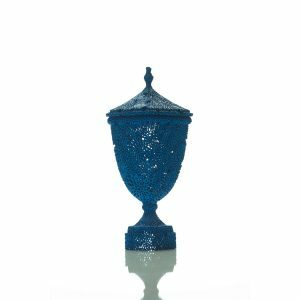 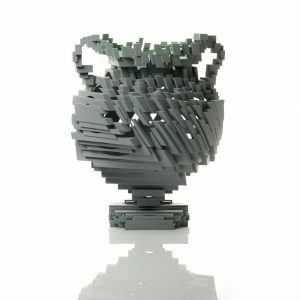 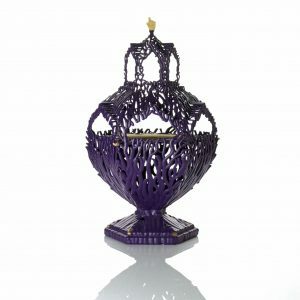 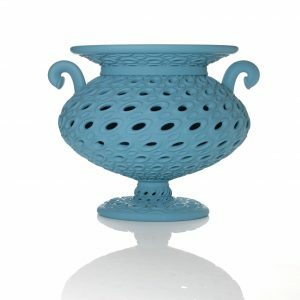 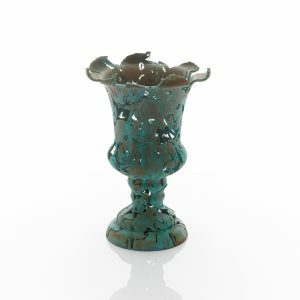 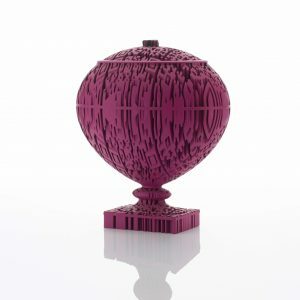 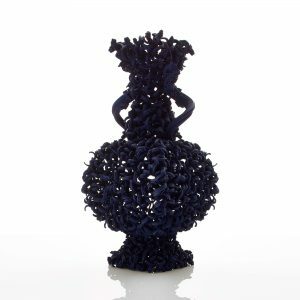 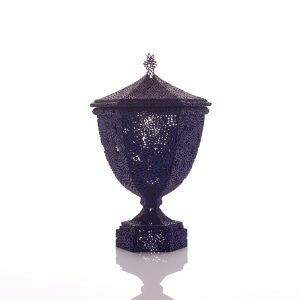 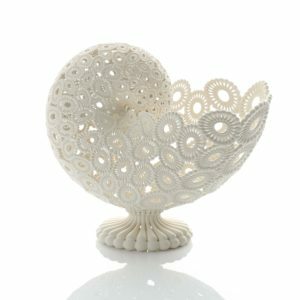 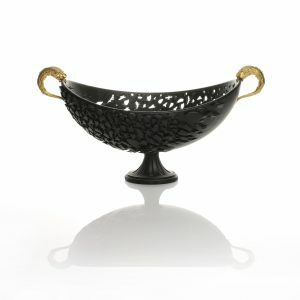 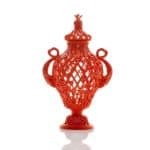 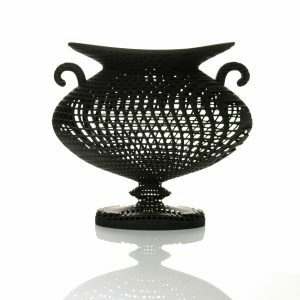 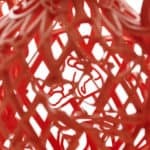 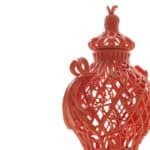 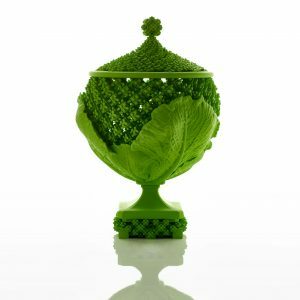 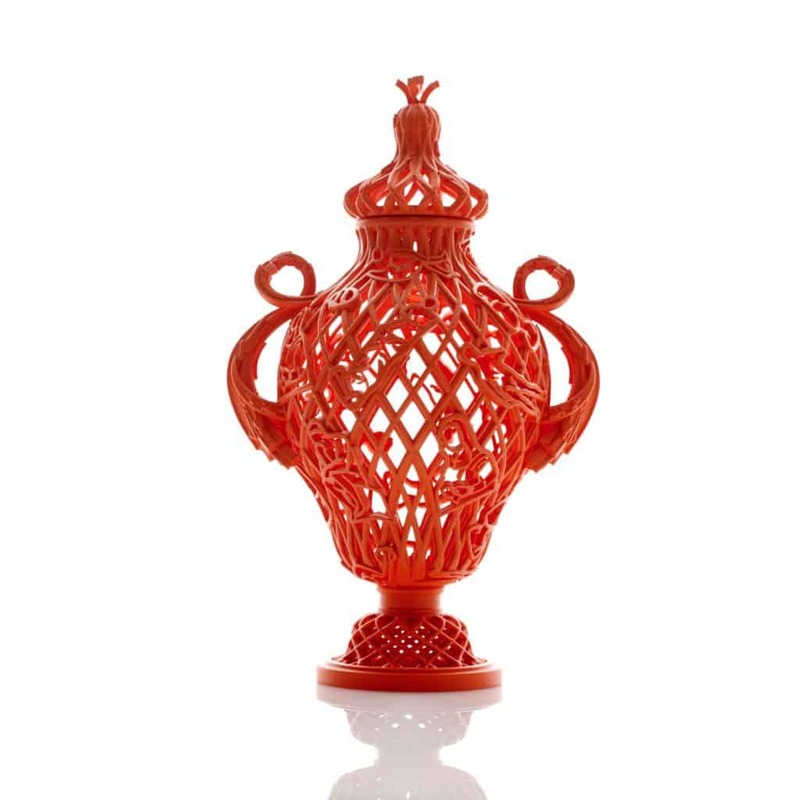 I have made quite a liberal interpretation of the vase, opening up and replacing the piercing with a lattice structure. 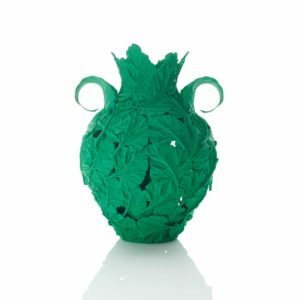 The original decoration, featuring leaves, flowers and a bucolic, romantic scene has been replaced with Keith Haring style silhouettes of iconic works of art, including the Discobolus of Myron, the Mona Lisa by Leonardo da Vinci, David by Michelangelo, Nefertiti, Venus de Milo by Botticelli, and The Thinker by Rodin. 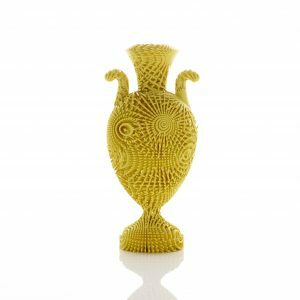 The soft, delicate pinks and pastel colours have been updated to a loud, luminous yellow, bringing the artwork firmly into the 21st century. 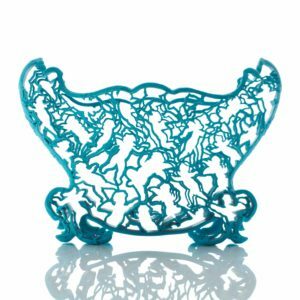 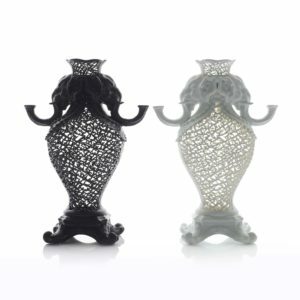 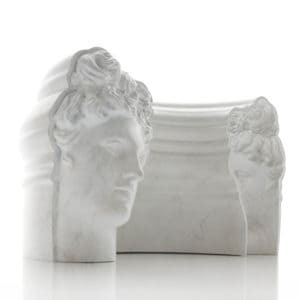 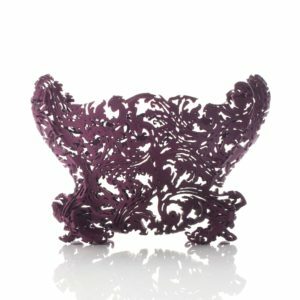 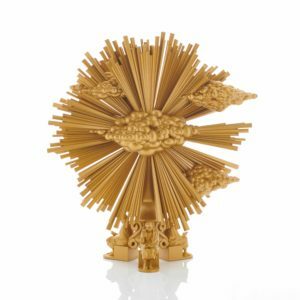 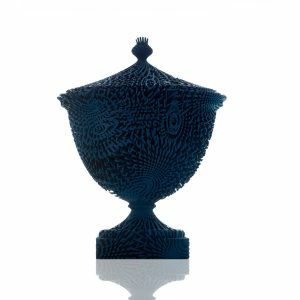 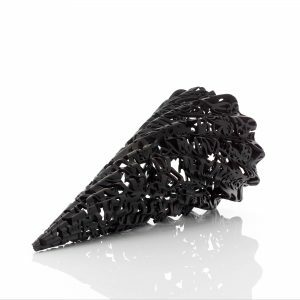 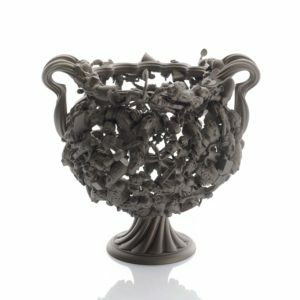 This piece was only made possible by the use of new technology, in particular 3D printing, where a drawing is created using 3D software and used to fuse together extremely fine layers of material, in this particular case, nylon. 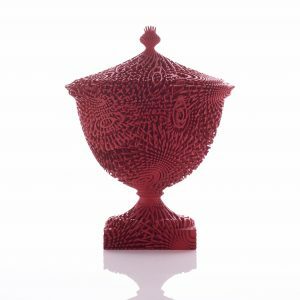 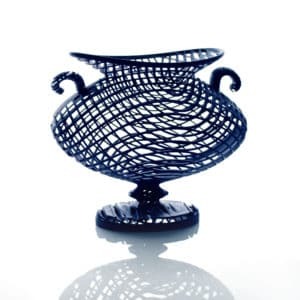 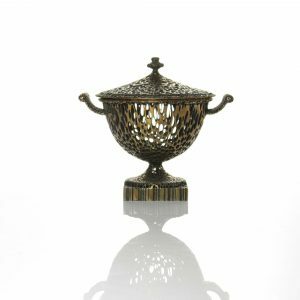 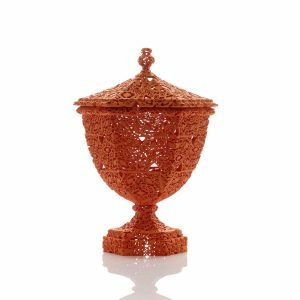 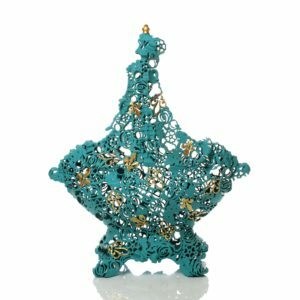 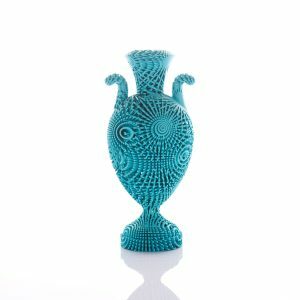 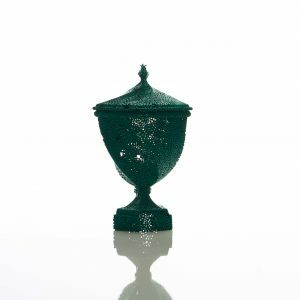 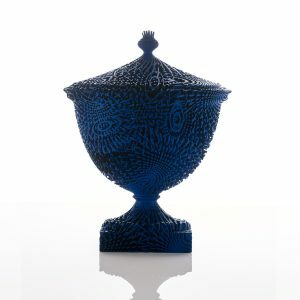 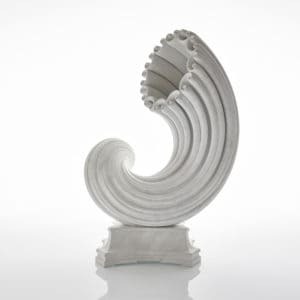 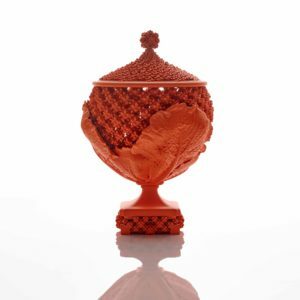 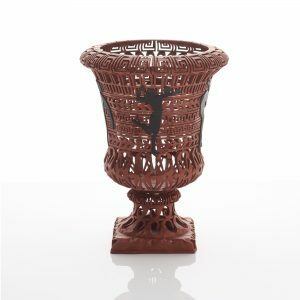 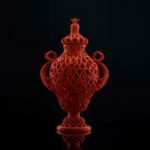 Since earliest times, craft has evolved, with innovation and the development of new tools enabling makers to create objects and artworks that was previously impossible or extremely difficult. 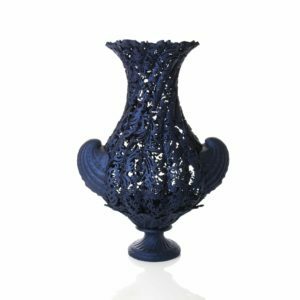 This is certainly the case with 3D printing, as it allows me to produce objects that I could not previously create on the potter’s wheel. 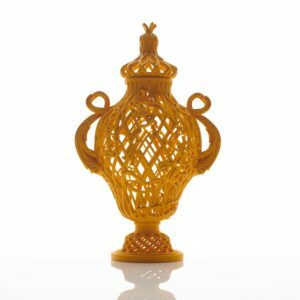 However, I firmly believe that all tools have their place and 3D printing does not replace them. 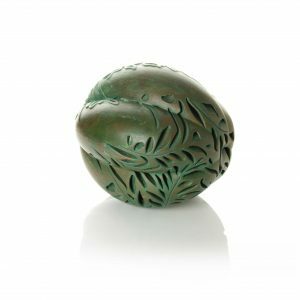 As artists and makers, we simply have some new tools to choose from and can develop the craft skills required to fully exploit them.